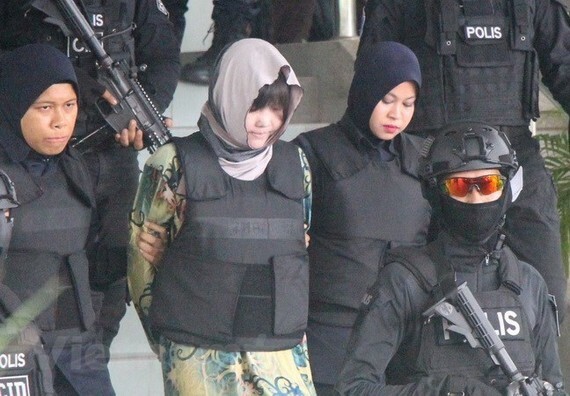 Police in Malaysia’s Selangor state required two Indonesian women to appear as witnesses in the trial relating to the murder of a citizen from the Democratic People’s Republic of Korea (DPRK), who held a passport under the name of Kim Chol. Selangor’s Criminal Investigation Division (CID) chief Fadzil Ahmat said that the two women were identified as Raisa Rinda Salma, 24, passport holder No.B2421541, and Dessy Meyrisinta, 33, passport holder No.B0464727, according to Bernama news agency. Both witnesses were last seen at Flamingo Hotel, Ampang, he said. Fadzil urged anyone who know or have information on them to report to the police. The murder of Kim Chol took place at the Kuala Lumpur airport on February 13, 2017. After the incident, the Malaysian police arrested some suspects, including Vietnamese national Doan Thi Huong and Siti Aisyah from Indonesia. Huong and Siti Aisyah were ordered to prepare her defence for next year during a court hearing on August 16. They were together accused of smearing the VX nerve agent on Kim Chol. The defence phase of the trial is set to take place next year on January 7-10, January 28-31, and February 18-19. The two defendants have insisted they are not guilty as they had no idea about the murder conspiracy, instead claiming that they were duped into thinking they were taking part in a harmless prank for a reality TV show when they attacked the DPRK national. However, the prosecutors have argued that they were well-trained assassins who knew exactly what they were doing. The women’s lawyers argued that their clients have faced unfair trial as authorities were unable to catch the four DPRK nationals who recruited the pair and were the masterminds behind the murder. The court has been told that this group of four had provided the women with the poison on the day of the murder before flying out of Malaysia. If found guilty, Huong and Aisyah could face the death penalty.